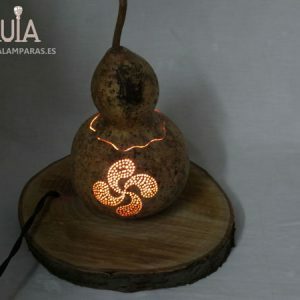 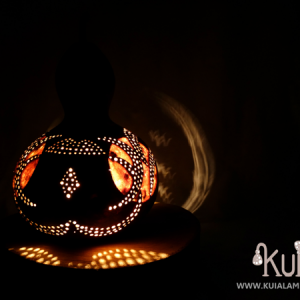 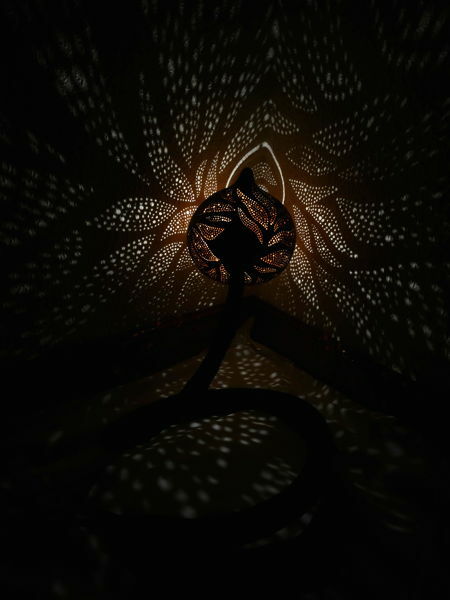 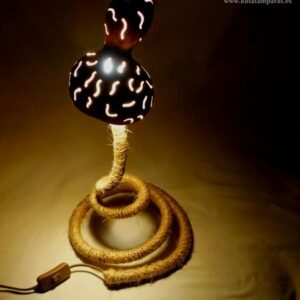 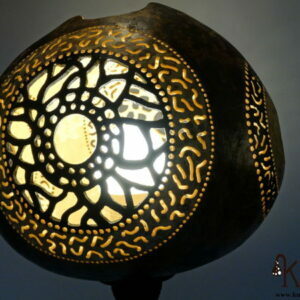 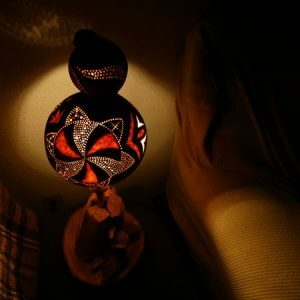 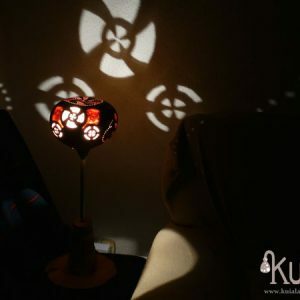 Ambient lamp.Handmade decorative lamp made with a gourd. 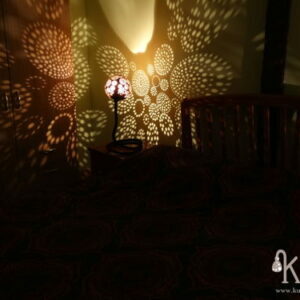 Designed for ambient lighting, it creates spectacular lighting effects on the walls. 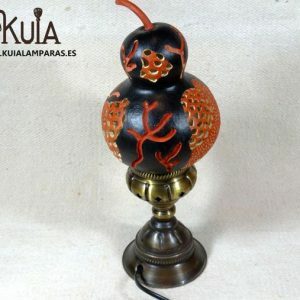 This table lamp has been made by hand, painted with some brown tones of wood.It has a flexible base that changes in diameter as it approaches the lampshade.